By analytically decoupling war and violence, this book explores the causes and dynamics of violence in civil war. Against prevailing views that such violence is either the product of impenetrable madness or a simple way to achieve strategic objectives, the book demonstrates that the logic of violence in civil war has much less to do with collective emotions, ideologies, cultures, or “greed and grievance” than currently believed. I distinguish between indiscriminate and selective violence and specify a novel theory of selective violence: it is jointly produced by political actors seeking information and individual noncombatants trying to avoid the worst but also grabbing what opportunities their predicament affords them. Violence is not a simple reflection of the optimal strategy of its users; its profoundly interactive character defeats simple maximization logics while producing surprising outcomes, such as relative nonviolence in the “frontlines” of civil war. Civil war offers irresistible opportunities to many people who are not naturally bloodthirsty and abhor direct involvement in violence. The manipulation of political organizations by local actors wishing to harm their rivals signals a process of privatization of political violence rather than the more commonly thought politicization of private life. Seen from this perspective, violence is a process taking place because of human aversion, rather than a predisposition toward homicidal violence, which helps explain the paradox of the explosion of violence in social contexts characterized by high levels of interpersonal contact, exchange, and even trust. Hence, individual behavior in civil war should be interpreted less as an instance of social anomie and more as a perverse manifestation of abundant social capital. Finally, I elucidate the oft-noted disjunction between action on the ground and discourse at the top by showing that local fragmentation and local cleavages are a central rather than peripheral aspect of civil wars. This superb study will be a landmark in the study of civil wars. It is based on deep and broad knowledge and on a remarkably fertile analytical framework. By focusing on the microdynamics of civil wars Kalyvas is both able to lay old misconceptions to rest and to generate and test a wide range of novel ideas. I predict it will be one of those rare books, an ‘instant classic’. While exciting and extensive, the recent literature on civil wars suffers from poorly specified and empirically untested causal mechanisms. Therefore Stathis Kalyvas’ important study is a welcome contribution to the field, as it reaches an unprecedented level of specificity and detail without sacrificing analytical cogency. Going beyond simplistic dichotomizations, such as ‘greed’ and ‘grievance,’ Kalyvas offers compelling evidence that civil wars often contain micro-level actions that have little to do with the main conflict dimension of the war in question. Reflecting both intellectual curiosity and impressive erudition, The Logic of Violence in Civil War promises to become an instant classic in conflict research in particular, and comparative political analysis in general. Some seventeen million people have been killed in civil war violence in the past half-century. Social science has made considerable headway in figuring out which countries are more or less susceptible to a civil war onset. But it is extraordinary that until the appearance of The Logic of Violence in Civil War, there was a dearth of theory and analysis on the dynamics of killing in civil wars. Stathis N. Kalyvas, through his stunning conceptual clarity, his creative synthesis of the historical record, his theoretical formulation, and his path-breaking microanalysis of the patterns of violence in the Greek civil war, has produced a book that would have, if written by the master, made Niccolò Machiavelli proud. This book should become required reading for those interested in the study of civil war and insurgency. It is analytically sophisticated, but also encyclopedic in its sweep and discussion of cases from around the world. While academics and specialists will benefit from the work, the material is accessible for more general readership. Furthermore, the work challenges conventional wisdoms and will provoke controversy. 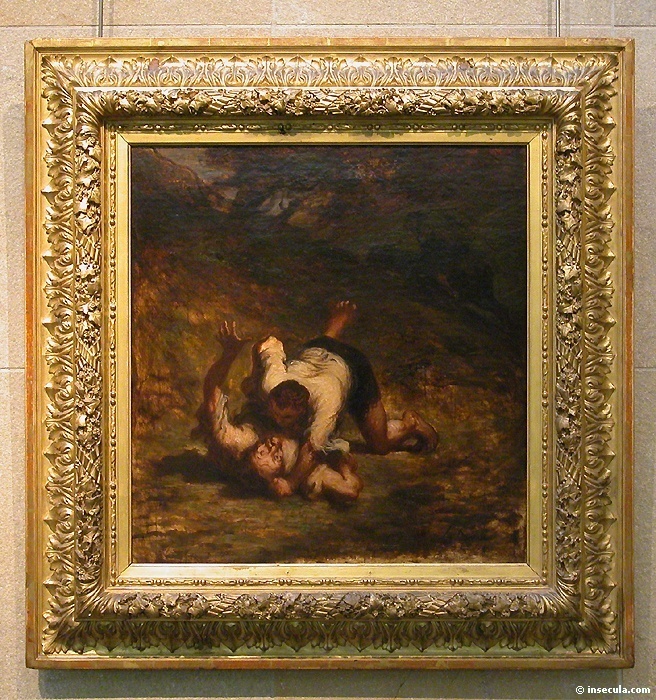 Honoré Daumier, Les voleurs et l’ âne, Musée d’ Orsay, Paris.